Water was declared the ‘least on-track target’ by the United Nations even as companies and international organisations are paying more attention to water issues and investing in it. The United Nations recognised water recycling as key to future water and energy needs. Organic matter extracted from treated wastewater offers potential for producing cleaner energy resources while providing additional supply of water to the growing global demand for this precious resource. Water is the source of life, as the saying goes, but despite its importance, it remains the “least on-track target” of the millennium development goals (MDGs), according to a new report published by the United Nations in November. As many as 1.8 billion people still use a source of drinking water that is contaminated and 1 billion defecate in the open, nine in 10 of whom live in rural areas. The UN water global analysis and assessment of sanitation and drinking water report attributes this to a lack of investment in water, hygiene and sanitation as well as government failure. Companies and international organisations, however, are paying more attention to water issues as they realise how it forms a key aspect of their supply chains. In Asia, for example, investment in technologies such as water recycling, water treatment and desalination are on the rise. The year saw many climate science studies pointing to a warming ocean and the impact of acidification on marine resources and the marine economy, which many communities rely on for food and livelihood. Human activities also contributed significantly to the ocean’s degradation, with plastic trash being a key problem. A December study reported that 269,000 tonnes of litter have been dumped in the ocean. Environmental groups sought to put a spotlight on Japan’s whaling activities, the threats of mining in the Great Barrier Reef. The year also saw the setting up of the world’s largest ocean sanctuary in Antarctica. On World Water Day in March, the United Nations published a report that highlighted the critical importance of water in energy production and urged governments and corporations to examine energy production in view of the industry’s water demand, which comprise 15 per cent globally. One of the key findings is that producing energy from fossil fuels puts a significant stress to freshwater availability. Hydropower, long considered as a renewable source, also has a dark side and can pose threats to water security. Scientists released a new studywhich showed that the building of dams, mainly for hydropower projects, has been growing worldwide and will have a damaging effect on the world’s rivers. The year saw various local communities and environmental groups in many parts of China, India, and the Southeast Asian countries in the Mekong delta such as Vietnam, Thailand, Cambodia, Myanmar, oppose these projects for being unsustainable and a threat to food security. The Water Footprint Network said in a report in August that global efforts to protect water resources need to be stepped up and urged consumers to start calculating how much water a pair of jeans or a bite to a burger would cost the water sector. By being mindful of their water footprint, consumers can help to advocate the need for transparency in the global supply chain, the non-profit noted. Separately, in June, a new study by United States researchers found that water impact is highly overlooked in palm oil production. At the same time, Asian investments in watersheds, the most natural basin and source of freshwater, is on the rise. Latest data from Forest Trends revealed that China led the region in terms of the number of investments in watershed protection. A study by the World Agroforestry Centre also highlighted the potential of agroforestry in saving watersheds from degradation. The United Nations has identified the recycling of wastewater to be significant way to raise the sustainability of water for all. Some companies have already shown that water recycling could fill the gap in the increasing demand for water. For example, coal mining firm Anglo American in South Africa reported that through new water technologies, mine waste can be transformed to tap water and provide supply for about 80,000 consumers. 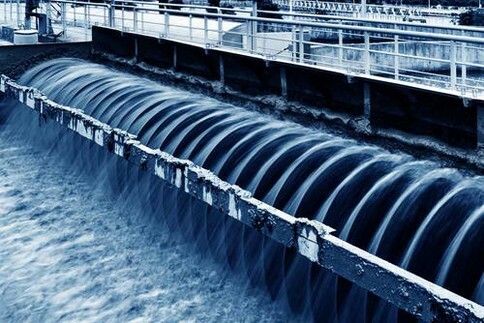 Singapore, recognised worldwide for its investment and success in water recycling, announced in September it will build its fifth water treatment plantfor reclaimed water. Scientists from the country’s Nanyang Technological University also announced a breakthrough in water filtration membrane that is cost-effective and more highly efficient than existing filtration systems. Elsewhere in Asia, corporates such as multinational firm L’oreal is investing on water sustainability initiatives in its manufacturing plants in Asia, the latest of which is a new custom-built wastewater treatment plant in Indonesia that lowers the firm’s operational carbon, water and waste footprints. In Asia, Indonesia has participated in various global forum this year to promote the adoption of a blue economy, which it refers to as the sustainable development of marine resources. In the United Kingdom, the Tidal Lagoon Swansea Bay offers an example of how to tap the marine economy by building a sustainable community that relies on tidal power for low carbon electricity, food security from aquaculture, and eco-tourism for their livelihood.